After our brief spell in South Korea it was time to head back to Japan! 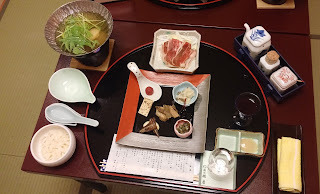 The plan was to catch an early morning flight out of Incheon Airport to Narita and then make our way out to the small onsen town of Yumoto, which is not too far from the well known town of Nikko. 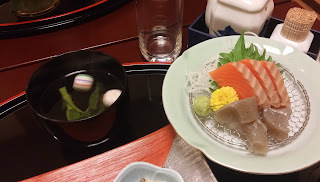 Nikko is one of the most famous tourist destinations in Japan, known for its decorative shrines and temples and we had actually visited for these reasons during our first trip to Japan in 2011. Another reason to visit the area is for the scenic and natural assets, particularly the waterfalls located between Nikko and Yumoto which is the reason for this second visit. Before arriving we had quite a trip ahead of us, in fact almost rivalling the trip from Australia! Thankfully only two hours of the journey was on a plane so it was a lot more enjoyable. Our flight left at 08:30am, so we dutifully woke up at 05:30am in order to get ready and get to the airport in time for our plane. 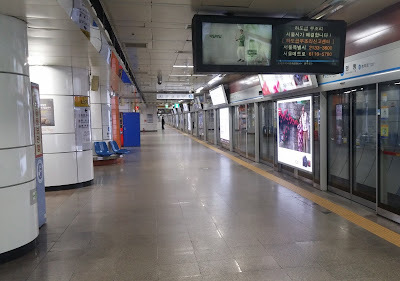 The only memorable moments about our journey over was the fact that for some flights you could actually check in at Seoul train station (including baggage check-in and what looked to be immigration), despite it being nearly 50km away! Oh, we also were not able to bring water on board the gate, even if we had purchased the water after all of the security gates! 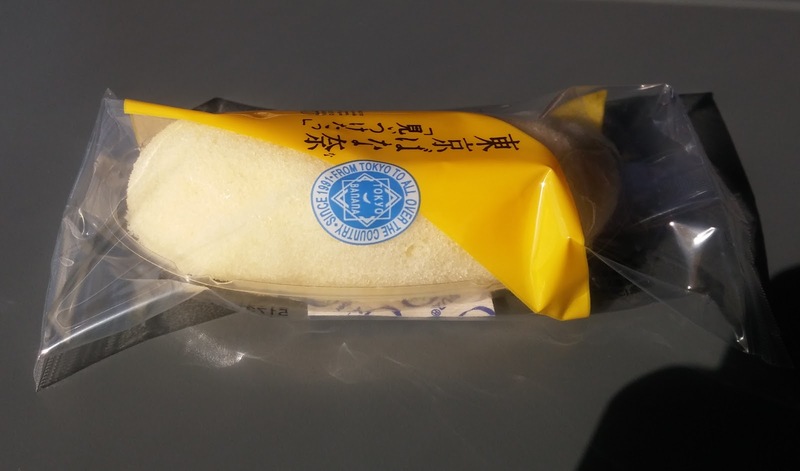 This was only enforced by the Jeju air staff and they didn't search bags, so although they claimed it was an airport security measure, I'm not so sure. 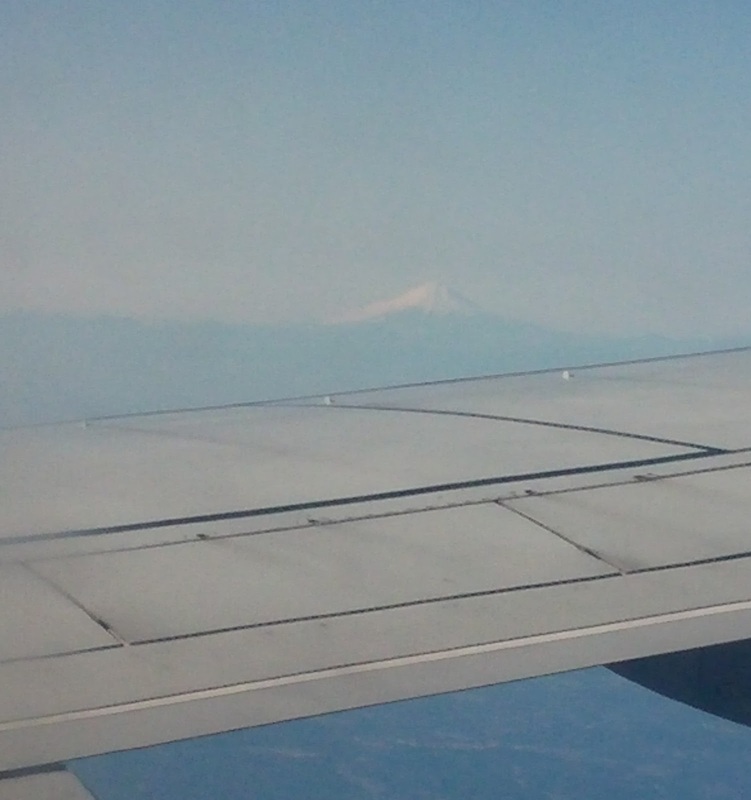 Oh and finally, as we flew into Tokyo we managed to spot Mt Fuji in the distance. To get to Yumoto Onsen we needed to catch a series of trains and then a bus, and as we were staying at a ryokan we needed to make sure we caught the bus that arrived at 5pm, as the next one would arrive past the latest check-in time. Fancy dinners are usually included at ryokan so it's important to arrive on time in order to not stress out the staff and miss out. 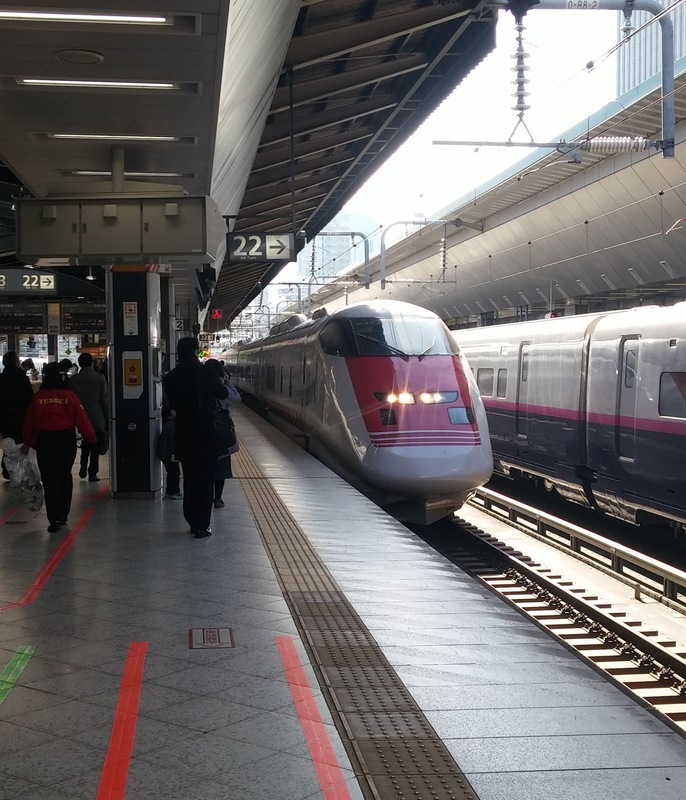 To make that bus connection we needed to make sure we caught the 11:48 Narita Express from the airport. Our plane was scheduled to land at 10:55 so we had very little margin for error. 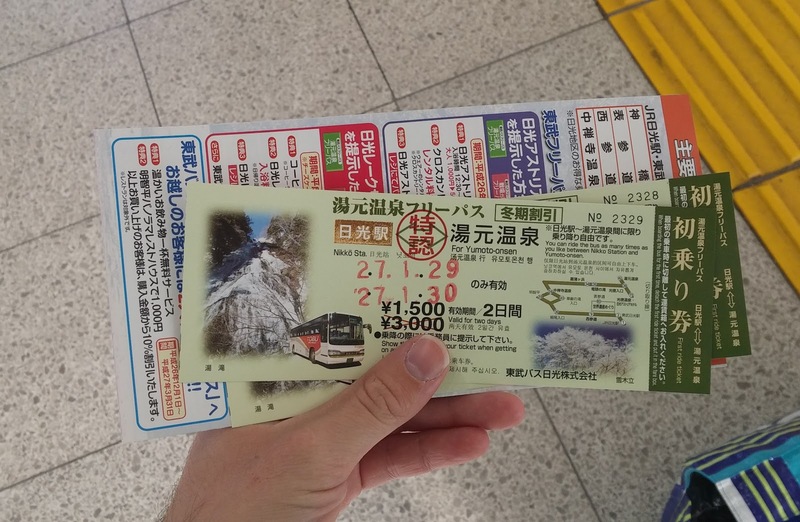 In order to minimise possible delays we had made sure to reserve all of our required tickets when we exchanged our rail pass during our first few days in Japan, and also had only bought cabin baggage to Korea so we didn't have to worry about collecting checked baggage. Beyond that we just had to hope the plane wasn't delayed or anything else unforeseen. We even had a relatively rapid taxi from touchdown to the gate, at least in contrast to our departure from Japan a few days early. 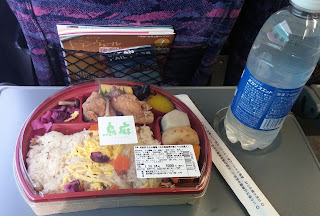 After arriving at Tokyo Station we stoked up on EkiBen (packed box lunches found at train stations) for our journey as well as a few of the famous Tokyo Bananas (which are unbelievably delicious), and caught a shinkansen to Utsunomiya where we transferred to a local train to Nikko. 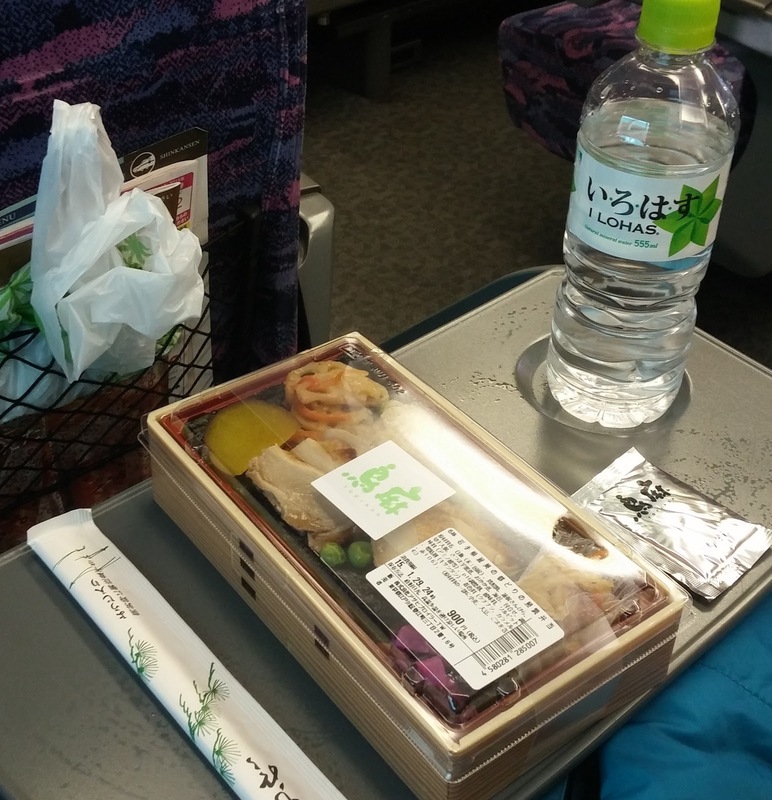 The bento (EkiBen) we got from the station were great to eat on the shinkansen while watching the scenery flick past the window and became a common food supply this trip, especially as we were catching lots of late night trains. 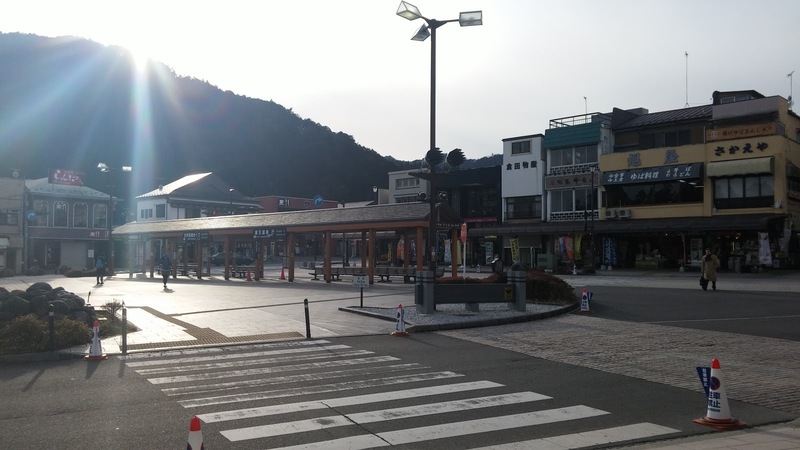 Upon arriving at Nikko station we made our way to the bus terminal and upon attempting to buy a two day ticket we were asked our and our hotel's name- Itaya Ryokan. We obliged and after confirming us on their list we received the ticket for half price! So 1,500 yen for two days unlimited travel instead of 3,000. 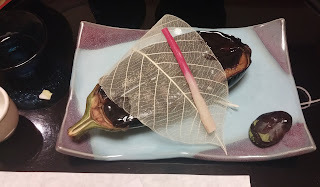 The bus didn't actually depart for a few more minutes so we used that time to look around the souvenir shop where Kate bought some of the local speciality: Yuba. 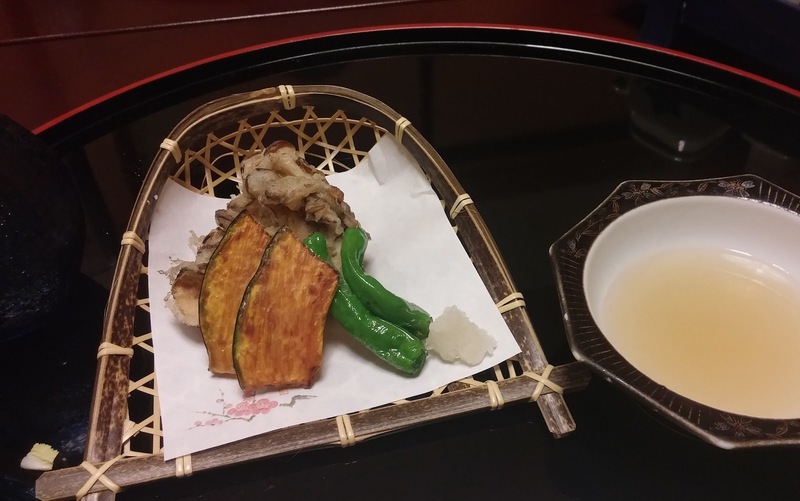 Yuba is a bit like tofu, though thicker and is a by product of making soy milk. 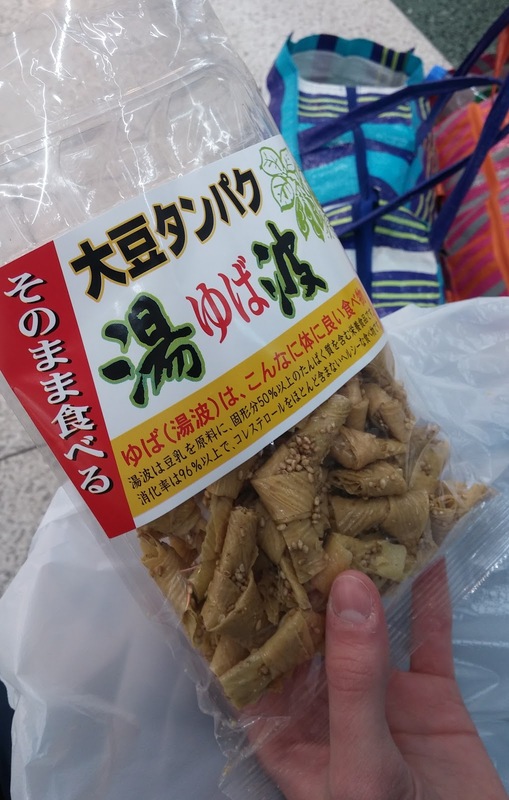 Kate had bought some dried version flavoured with sesame seeds. 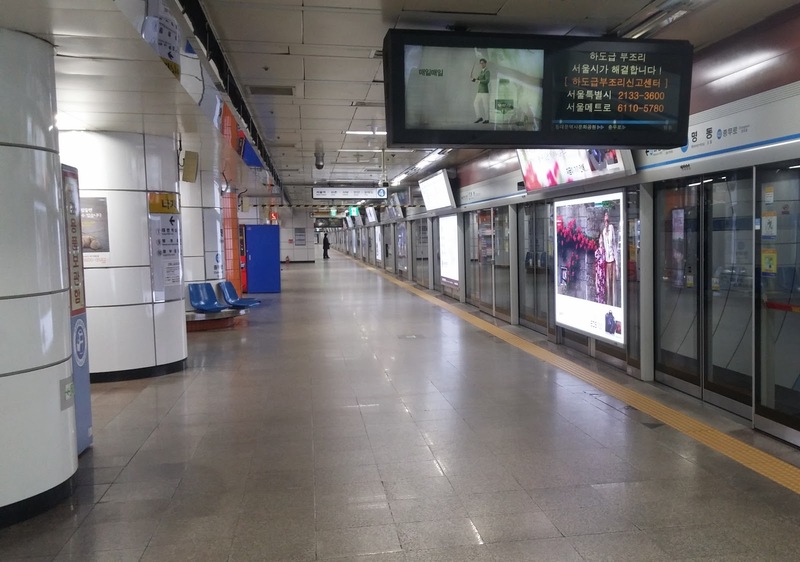 After that we caught the bus! The bus wound up through the mountains and there were notices and announcments on board warning about the Irohazaka which are a pair of winding roads that travel up to a plateau at the top of the mountains. The name comes from "i - い" "ro - ろ" "ha - は", which are the first three syllables in the old Japanese alphabet which is a poem (a more regular ordering is used these days). 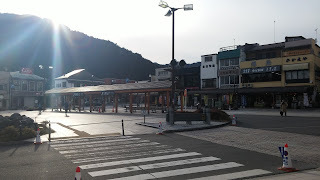 The zaka in Irohazaka simply means slope. There are 48 syllables in the Iroha and 48 hairpin turns in the Irohazaka, with each turn having its own syllable. Once we reached the top the bus trundled through snow covered forests and along the Senjogahara marsh, which was a flat expanse of fluffy snow. 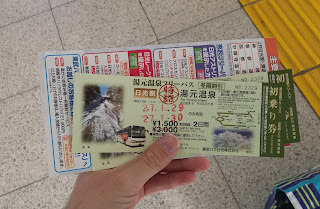 Eventually we reached Yumoto Onsen, and trunched off through the snow to our hotel, which wasn't too far away. 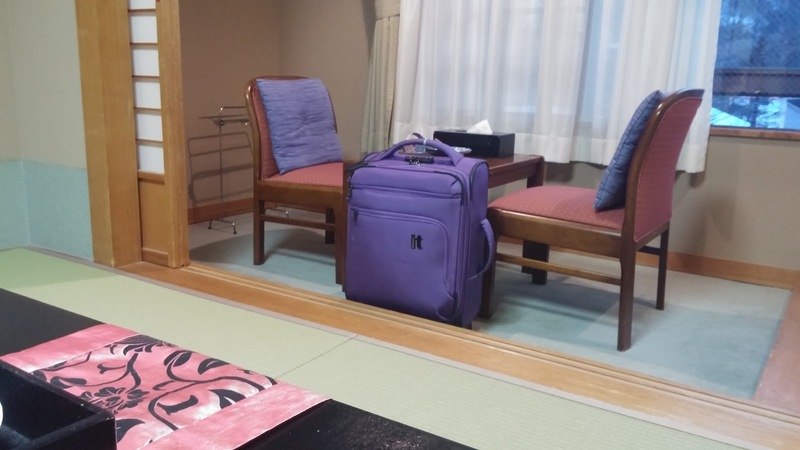 Our room was a nice traditional Ryokan style room and dinner was a delicious assortment of many interesting Japanese style foods such as tempura, miso eggplant, nabe and sushi. 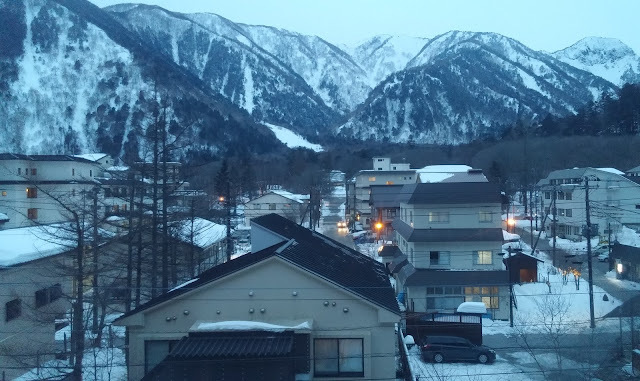 The definite highlight about the stay tonight was the outdoor onsen which was amazing due to the snow! The snow on the garden and wooden roofs was really pretty and it was actually snowing lightly while I was soaking in the hot bath which resulted in a really pleasant atmosphere. Tomorrow we'll be exploring the aforementioned natural assets of Nikko before continuing on to Koriyama, Fukushima.